At Carpet Bright UK we understand how carefully you’ve chosen your rugs to add style and colour to your home. We’re proud to work with you to protect your beautiful possessions so they remain a real asset as the years go by. 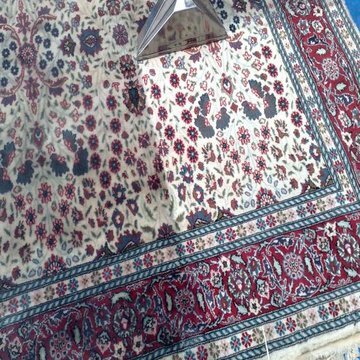 It’s such a shame when beautiful rugs become soiled, stained and attract pollutants such as germs, pollen and smoke – but Carpet Bright UK’s technicians are on call to ensure that they’re restored to their former glory. Cleaning rugs is a specialist task and we use the latest technology to deliver remarkable results. Our five-step rug cleaning system gives our customers 100% satisfaction, with a choice of having the cleaning work done on your own premises or using our pick-up and return service for your convenience. Carpet Bright UK provides specialist cleaning services for antique, oriental, Persian, Chinese, Indian and Native American rugs, all of which have their own particular characteristics of fabric and weave. A luxurious rug is a stylish investment for your home and needs careful handling to prolong its life and allow you to enjoy it to the full. A freshly-cleaned rug has brighter, clearer colours and is odour and stain free once again. Whether the problem is long-standing marks, smells caused by pets, water or liquid spill damage or just the damage caused by many feet and the passage of time, we will restore to you the beautiful rug you once proudly chose. Like carpets, rugs can also attract dust mites, and these need to be dealt with carefully, depending on the type of rug you have. The presence of mites can make problems such as hayfever, asthma and allergy worse, making life very uncomfortable for your family. Carpet Bright UK understands your concern for your family’s well-being. Our specialist dust mite removal service is not only highly efficient but keeps the environment in your home safe and hygienic for everyone. Contact Carpet Bright UK today to talk about the benefits of our professional rug cleaning service and to book a consultation with one of our team. The highest quality of rug cleaning by certified technicians. 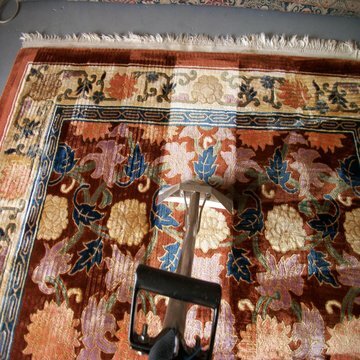 To offer our clients the best rug cleaning ever. We've been voted #1 rug cleaner in London, Kent & Surrey. We've served over 9,000 happy rug cleaning customers! "I wouldn't trust my rugs to anyone but Carpet Bright UK. My rugs look so much brighter and more beautiful!" "I've used Carpet Bright UK for 5 years and always recommend them to my friends for rug cleaning." 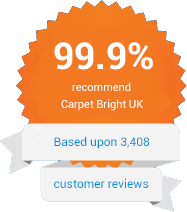 "Carpet Bright UK can clean rugs beautifully."